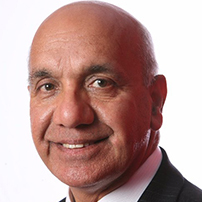 Virendra Sharma was first Elected as MP in the Ealing Southall by-election on 19 July 2007. The by-election was called following the death of the sitting Labour MP, Piara Khabra. Virendra Sharma’s arrival in Parliament was the end of one long chapter of public service and the beginning of another. Virendra Sharma was born in India and speaks fluent Punjabi, Hindi and Urdu. He is married with a grown-up son and daughter and 3 grandchildren. He served as a councillor in Ealing for 25 years including a term as Mayor. The grandfather-of-three came to Hanwell from India in 1968 and started out as a bus conductor on the 207 route before studying at the London School of Economics on a Trade Union Scholarship and eventually working as a day services manager for people with learning disabilities in Hillingdon. When first elected Virendra served as a member of the International Development Select Committee, which after a five year hiatus he returned to in 2015. He was a member of the Health Select Committee from 2010 – 2015, and has been a member of the Joint Committee on Human Rights since his election. Virendra currently chairs the Indo-British All Party Parliamentary Group (APPG), leads the APPG for Gurkha Welfare, and is Co-Chair of the APPG on Nepal, the Tuberculosis Group, the Hepatitis Group and is Vice-Chair of the APPG for British Hindus. He has previously chaired the APPG for Tamils and is still actively involved as the Vice Chair.